Spanish for You! 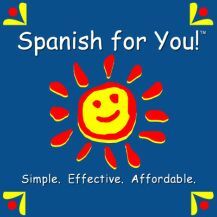 is a theme-based multisensory program for teaching students in grades 3 through 8 how to speak Spanish. It incorporates listening, speaking, reading and writing. Rather than being a single-grade curriculum, it can be used throughout the age range. It is divided into age sections (grades 3-4, 5-6, 7-8) so a larger family can use one program simultaneously (using the individual grade sections/worksheets), or a single student can use the same book for several years. Each themed curriculum includes materials (downloadable textbook, workbook, and .mp3 sound files) for all grade levels is $64.95; while individual grade units are available as well ($39.95 each). Currently, there are two full courses available - Estaciones and Fiestas, with a third (Viajes) set to debut in June 2013. The program is set up to be used 4 days per week; the entire course takes 24-30 weeks, depending on grade level. However, it is very easy to work at a faster pace. 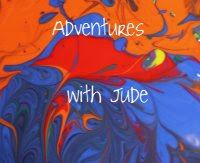 Each lesson is planned to take from 10 to 30 minutes, so it is easy to add in some of the suggested games, or even do two lessons in one sitting. 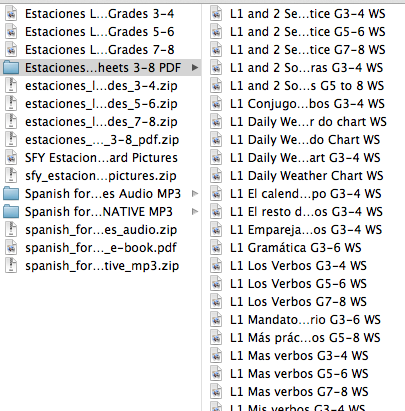 Celia studied the Estaciones (Seasons) program, working on the grade 3-4 section. It contained five units, with several daily lessons for each unit. One thing I liked about this program is the intense focus on a specific topic. The student thorougly learns the vocabulary associated with a specific topic, rather than a few words about this and then some about that. Celia also used these words in sentences/conversation, so that what she recalled wasn't rote memorization but critical thinking. For example, to answer the question, "Cuando hace calor?" she needed to understand the question ("When is the weather warm?") and then recall the correct month and grammar (for example, "Hace calor en junio," or "It is warm in June.") The text employs both reading, writing and speaking for learning in the workbook. It also recommends that the student create index cards with the vocabulary and common idioms used in the course. This definitely can help the student work on drilling vocabulary. However, this particular angle did not work so well for us, because flashcards are not particularly efficient for her. She found greater success just reading and re-reading the pages, and listening to the included .mp3 files. I liked that the conjugation sections contained all six forms of a conjugated verb. When I learned Spanish (multiple dialects), I was taught all six. Even though only Castillian dialect Spanish uses the vosotros (plural you familiar) form of verbs, to pass the courses, I needed to be able to speak in any dialect. 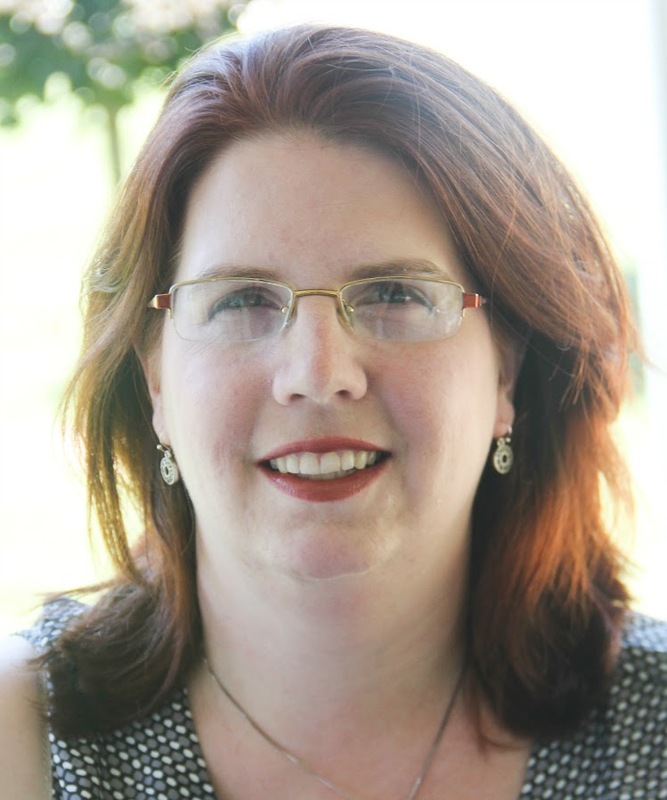 Celia is currently learning Spanish in her school, and her teacher instructs in her native dialect (Puerto Rico)is a native Puerto Rican, and teaches her native dialect. Celia has not learned much about this form of conjugation, though she knows it exists. Working on this program gave her greater exposure to this form of the verb. She is aware that it is not commonly used by most Spanish speakers, but it is still good for her to learn it. However, I did not like that there was little explanation of WHY things were the way they are. For starters, the way to conjugate verbs was shown as simply memorizing the conjugations. While this might be fine for learning only a few verbs (the units we studied each introduced a fewverbs in each one), it did not explain the patterns and when Celia comes across a verb that hasn't been memorized yet, she would be unable to conjugate it. The conjugated forms were clearly labled, but the endings were not clearly explained. For example, in the "yo" form, most verbs drop the "ending" (-ar, -er, -ir) and and the letter "o" to the root. However, the text did not explain the difference in verb endings, or how the ending patterns were the similar but not identical for "you" and "they" and "we" etc. A particularly intrepid student might be able to eventually figure out the pattern, but it is a difficult way to learn a language. I think it would be like expecting someone to memorize "I jump, you jump, verbhe jumps; I walk, you walk, he walks" without saying clearly "The general rule is if it is he or she, add an "s". One of the verbs used is ir, "to go." Ir is an irregular verb and does not follow any of the usual rules, and there is no mention of "This verb just is different, memorize this because it doesn't follow a pattern." It also does not explain idioms well. It *teaches* them, but it does not *explain* them. For example, in English, we say "It is hot," but Spanish does not use the "is" verb but "hacer" which translates as "to make" and the sentence is "Hace calor." A beginning student easily may substitute "hacer" when they really mean "is" -- for example, the lesson "Hoy es lunes," ("Today is Monday,") could easily confuse a beginner who doesn't understand that weather has its own idioms and is not a literal translation. I would have liked to see lessons include more grammar rules, rather than just examples. As the instructor, I struggled with the organization of the download. 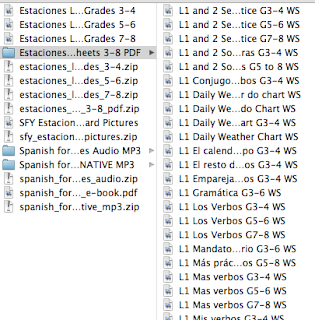 I think it would have been much more helpful for the worksheets to be organized by grade, rather than Unit/Lesson. To print out the workbook, each page had to be individually sent to the printer after having to sort through the list for the correct grade. In addition, I went over the lesson plans and text several times and for some reason still had extra grade-appropriate worksheets that I couldn't figure out where to incorporate. We just saved them for the end of the unit and used them as a review, but it was frustrating to not be able to figure where they belonged. Many days' lessons include one or more multiplayer games. We wound up skipping many of these, because Celia was the only child utilizing this program. This part of the program is probably better for group/family study, or for the parent who is able to be extremely involved with teaching the lesson. Celia really enjoys learning Spanish, and takes a twice weekly class at school. We will probably continue to use this program as a supplemental/summer activity for her. Although it is meant to take up to 6 months to complete, I think it is possible to complete the course in three to four months, and so will probably also use it with Matthew over the summer (for practice and so there is more than one student to play some of the suggested games.) However, for a full time/core foreign language program, I would opt for something that has a similar unit study style but provides a more structured grammar frame, and that is easier to do independently. ¡Por favor, ven a ver lo que otros miembros piensan acerca de este programa!